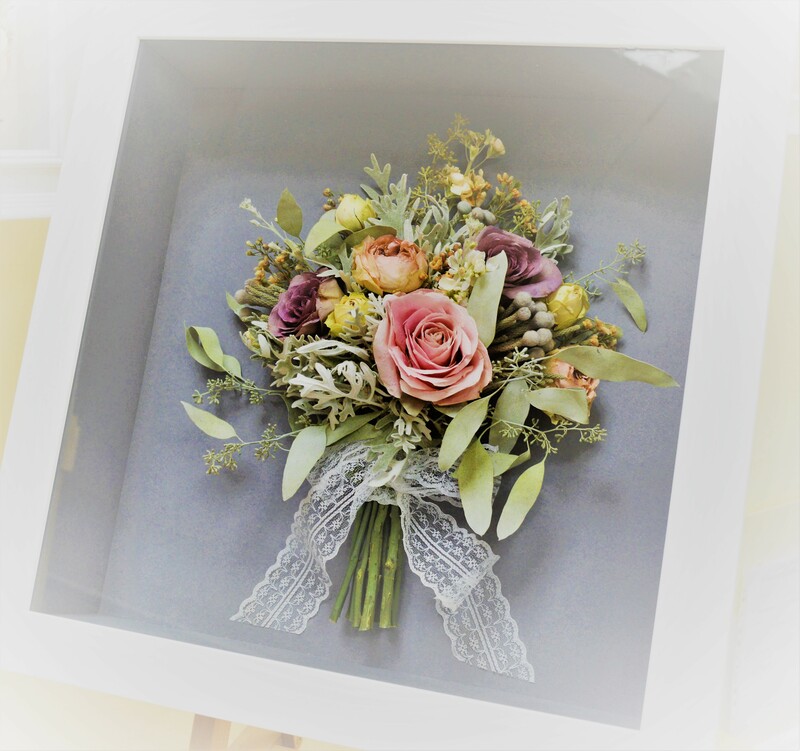 There are lots of lovely ways that we can display your preserved flowers. Although we have sent our suggestion to you there are more ideas at www.preciouspetals.co.uk/portfolio. Once you have decided what you would like please complete this form so that we can proceed with your order. If you need any assistance or an appointment at our studio please do not hesitate to call us on 01256 882422 we will be delighted to help. Completion will be approximately 18 weeks from receipt of your confirmation. If you would like an appointment at our studio to view your preserved flowers and discuss your options with one of our artists please confirm this below and we will be in touch to arrange. If you are unable to come you can confirm your display requirements below. 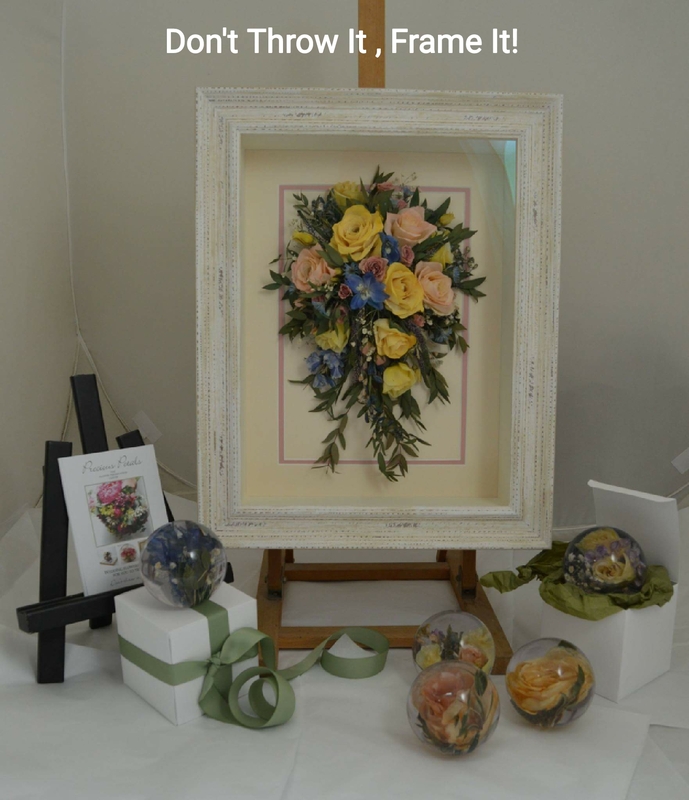 See below layouts which our artists can create for framed flowers. Please tick the box to confirm what you would like. Or maybe something different ? For an additional £50.00 we can also include non floral items in your frame. 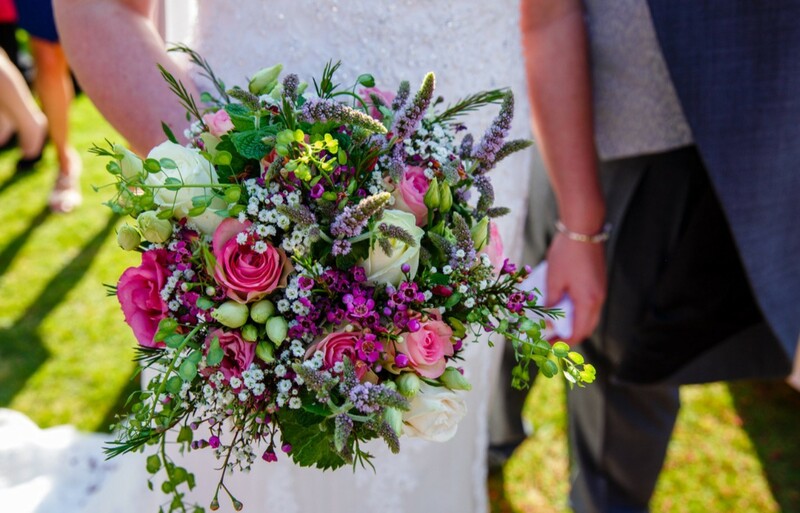 Yes please replace where necessary, I will email to you a list of the varieties of flowers that my florist used No thank-you please use my original flowers only, whatever their condition. A single cream mount is included in the price of your framed display but it be a lovely finish to add a second mount in a complementary colour to your preserved flowers. Price for christian names and wedding date £40.00.If you would like your glass engraved please detail above what you would like us to engrave. 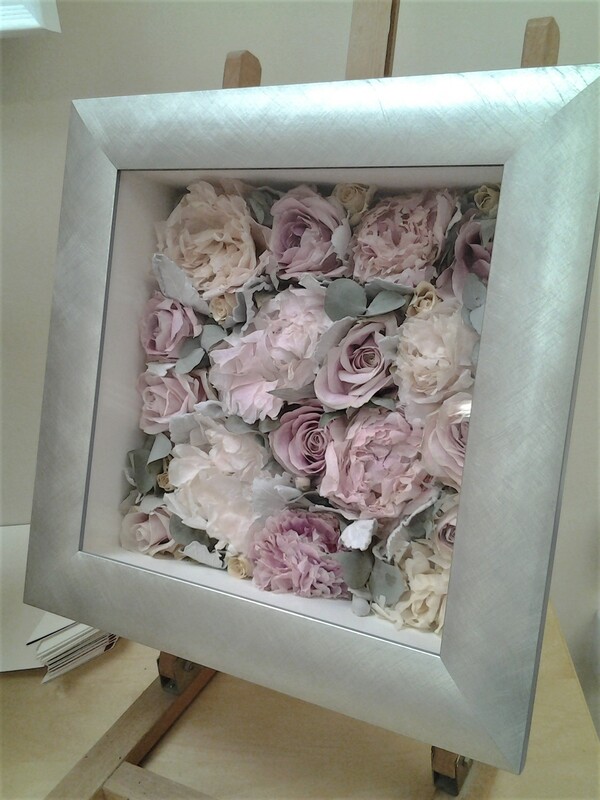 These are half price when ordered with your framed bridal bouquet. If you would like additional pictures please detail below the layout and frames required. Please list the number of pictures required, framestyle, size and layout. A small design in an 8 x 6 "antiqued gold oval frame £50.00 when purchased with other frames, cubes or paperweights. Suitable for an averaged sized rose head or a selection of smaller sized flowers. Please let us know here any additional instructions here. Please go ahead and charge my card with the second stage deposit and proceed with my order. Please send to me a break down of the costs and I will make arrangements to settle the next payment. Your personal information is important to us. At Precious Petals we understand the importance of privacy and your right to control your personal information. We are dedicated to protecting your privacy at all times and we take this seriously. Unless direct consent is given to us by you or required by law, we will not release any personal details to a third party. You may request details of personal information which we hold about you.If you believe that any information that we have is incorrect please write or email us as soon as possible. Any incorrect information will be corrected promptly. Precious Petals only collects your personal information with your knowledge and consent. The information that we collect about you when you book with us is to ensure the accuracy of your order and its efficient process. This information will not be sold, given, rented or traded to another party.